Koh Lanta is one of those islands in Thailand that people don’t really know what to expect from it. Sure I’m talking about first time visitors who have already visited places like Koh Samui or Koh Chang and are then curious to discover more of the “authentic Thailand” away from the mass tourism. 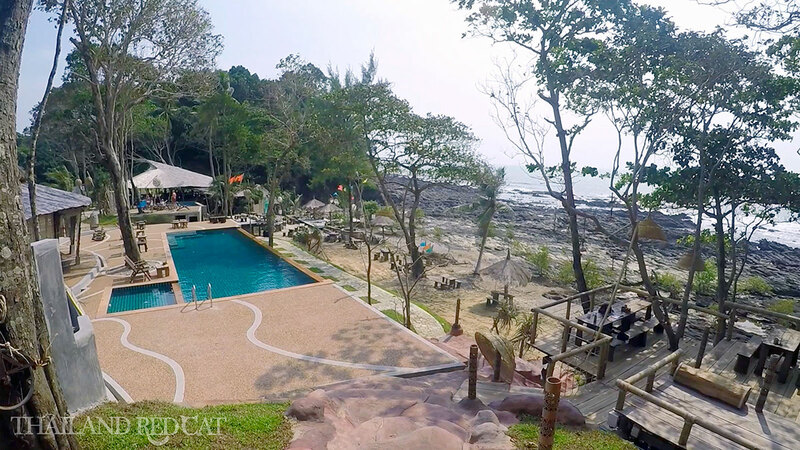 Koh Lanta, the largest island in the Krabi province, is a good choice in this regards. But it really depends on what you want. Do you want a bustling nightlife with girly bars and happy ending massage salons as far as your eye can see? Then you might rather go to Phuket. Do you want high end luxury resorts with spas and top international cuisine? Then you might rather go to Koh Samui. However, if you prefer a more quiet surrounding, few to no vendors on the beaches, more real nature to explore with your rental motorbike and several paradise-like small islands for a day trip on the speed boat, then Koh Lanta will be well worthwhile to visit for a few days. And apart from that, there are some places where you can have a drink at night with nice Thai girls and I have covered them all in the Lanta nightlife guide. 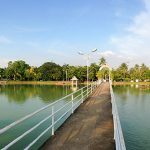 Best Beach to Stay on Koh Lanta? This guide will be all about the best things to discover on Koh Lanta during the daytime, but before I get into that I want to cover one topic that most of you guys are probably curious about: What is the best beach to stay at? First you need to know that there are actually two separate islands: Lanta Noi and Lanta Yai. Lanta Noi is where the ferry arrives and this is all rural area, mostly farms and villages. All beaches and places of interest are found on Lanta Yai. By far the nicest and most developed beach is Long Beach (also called Phra Ae Beach). If you take a minivan from Krabi you will be dropped at your hotel, just tell him the name of your hotel and the name of the beach. I would strongly recommend you to stay there, not only offer the hotels and resorts the best value for money, but you also have 80% of all foreign owned restaurants and adult nightlife places in this area. Kong Dao Beach is mostly popular among young backpackers and so called hippies, means cheaper accommodation but also less quality and only few bars and restaurants. And also the beach is much smaller and not as nice as Long Beach. 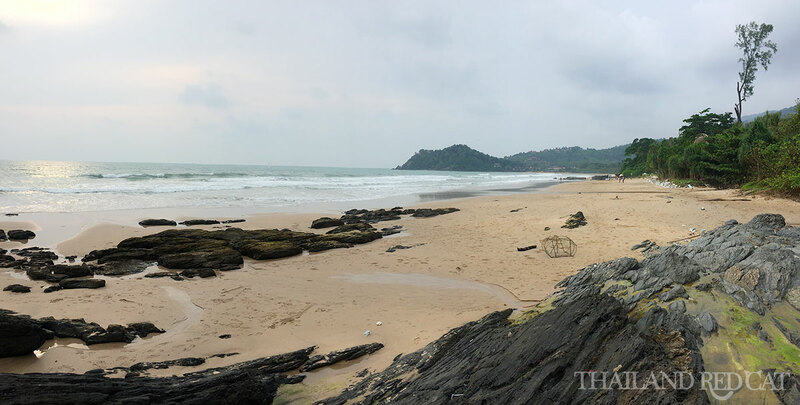 Let’s start with the most obvious highlight of Koh Lanta: the beaches. By looking at my picture above you might be wondering: That’s it? Yes, that’s it. This is Long Beach (aka Phra Ae Beach), the most popular beach on the island. Like you can see, it may not be the most stunning piece of coast you have ever seen in your life, but it is just fine and not crowded like most other hot spots in Thailand. I think it actually looks better in my video, so make sure to check it out at the end of the guide. It’s really nice to take a dip there at about 4pm in the afternoon and then head up to Mad Bull Beach Bar for an ice cold Singha beer. At least that’s what a visit to Koh Lanta is for me: To relax at some nice restaurants or bars with fine views and a sea breeze and without sketchy vendors or too many tourists. If you asked me about my favorite place on Koh Lanta – here it is. This is the most spectacular and at the same time most idilic and laid back place on the whole island. They have built two separate open air restaurants and bars with swimming pools on top of the bay at the very northwestern tip of Koh Lanta. There is also a small resort with bungalows but you obviously don’t need to stay there to come, drink and enjoy. They even let you use the swimming pool so don’t forget your swimsuit and you can soak in the spectacular views of the ocean while waiting for your cool beer (100 Baht) and delicious pizza (about 250 Baht) to be served. Coming from Long Beach, it will take you 20-25 minutes by motorbike to drive up there. I strongly recommend you to use Google Maps on your smartphone because there isn’t much signage along the way. See the location of The Rock on the map below. Don’t be confused by the term “national park” – it’s not the whole island we are talking about here like so often the case with islands in Thailand, but just the very southern tip of Koh Lanta. The highlight here is the lighthouse sitting on top of a hill (see the first picture) that can be easily climbed in 10-15 minutes from the carpark. 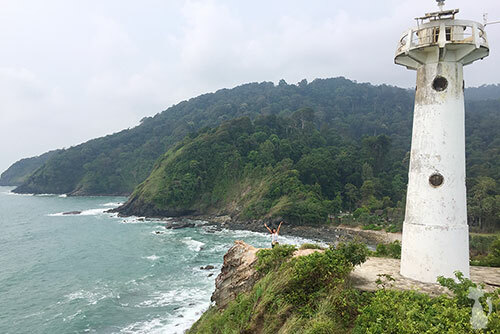 Once you reached the top you will be rewarded by nostalgic views of the dramatic rock formations of the southern end of Lanta and the Andaman Sea (see the second picture). There is also a nice beach right next to the lighthouse-hill so you can take a dip there before making your way back to Long Beach (or wherever you are staying). The motorbike ride down to the national park is really an attraction itself – you drive up and down the coastal road that eventually leads into dense rainforest and you’ll highly probably pass some naughty (or just hungry) monkeys along the way. Just 200m before the visitor center there is a ticket booth where you will have to pay an admission fee of 200 Baht (for Thais it’s 20 Baht). There are only few reasons to leave Koh Lanta’s beaches on the west coast and visit the rough and rocky east coast that has only few guesthouses and otherwise mostly villages, hills and rainforest. 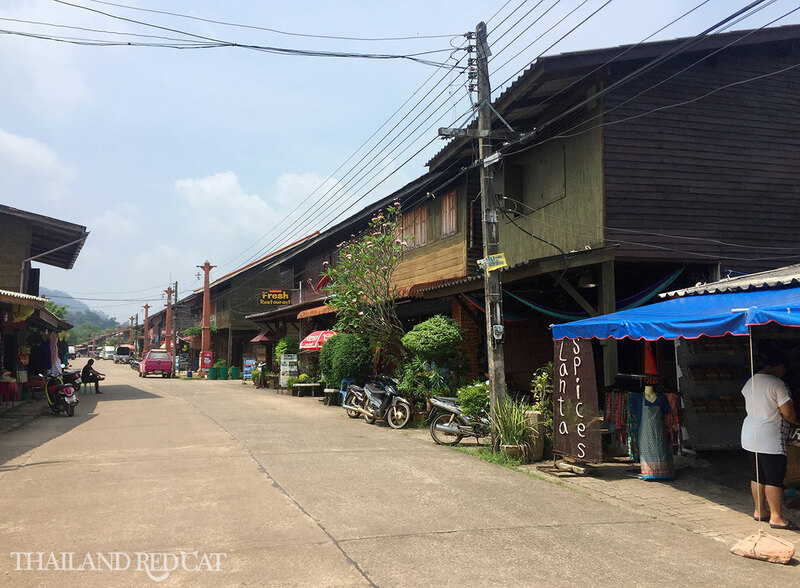 The so called “Lanta Old Town” is one of the reasons and as you can see in the picture above, it’s basically one street of old style houses and almost every single building runs some sort of tourist oriented business: Café, seafood restaurant, clothes shop, accessories shop. It’s really this view that made this place worth visiting for me, it just gives you a great impression of the size, way of life and tranquility of this island. It will take you about 30 minutes to get there by motorbike from Long Beach. The spectacular looking river delta you can see on the brochure of the top-right picture is located in the northeastern part of Koh Lanta. They offer long tail boat tours (1,000 Baht for 2 persons for 1 hour) as well as kayak rentals (500 Baht per kayak per hour). Should be fun and interesting to watch the nature and native animals, but remember that you are down on earth and won’t get that bird-eye perspective like in the tour brochure. There are two other attractions on the east coast not too far from there: the so called snake farm and monkey school. I don’t want to mention any times of shows or prices here as they change the program too frequently – just drop by if you feel like and take a look at it yourself. Don’t leave Koh Lanta without doing a full day trip to one of the surrounding smaller islands. There are several tours to choose from, but the most logical one is the Koh Rok Snorkeling Trip. The beach can’t get any better – crystal clear and turquoise water, white sand and lots of fish to discover. For the first time in my live I saw a sea star there and also a “Nemo” fish while snorkeling. This all will be enough to cover two or three full days of exploring Koh Lanta. 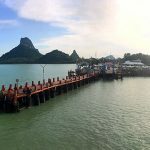 After that you might want to revisit your favorite places (like I love to go back to the beach bars of Mad Bull and The Rock) or you continue your travels to Ao Nang, which is the main beach in Krabi, and less than 2 hours away by minivan (including the short 10-15 minute ferry ride). Now enjoy my videos and let me know about your experiences down in Lanta after you have visited!